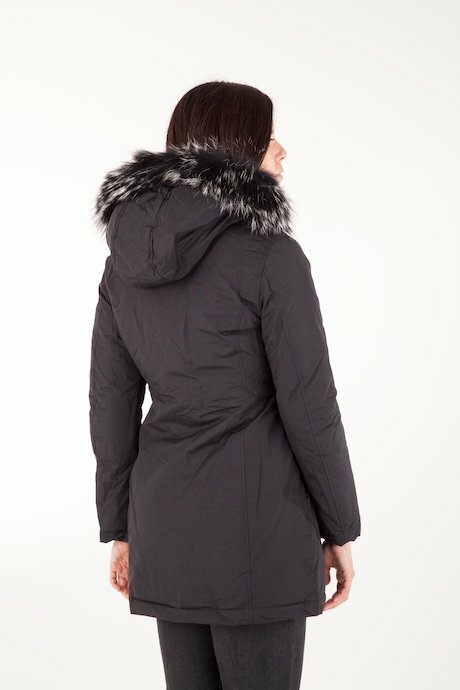 Padded parka, high performance and high insulation down-like padding. Detachable hood with detachable faux fur border. Essential line. Frontal pockets with zip. Check all detailed information.